How’d we do? Global Big Day Weekend Wrap-up! 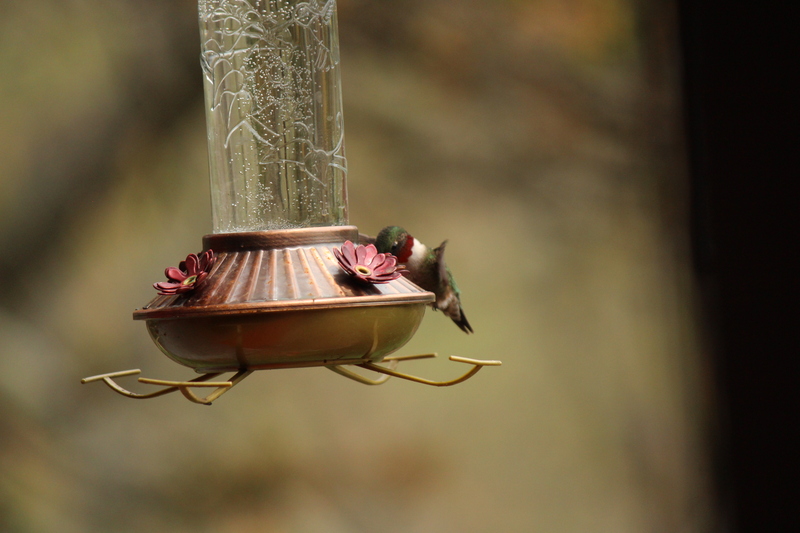 A ruby-throated hummingbird at Audubon Bent of the River in Southbury, CT. Photo by Nathan Schoonover. The results of our Global Big Day–when we try to see as many species of birds in one day as we can as part of an international effort–are in! We started the day (May 5, 2018) in our yard at 6 a.m. Our neighbor, Steve, joined us for coffee and birdwatching until 8:30. We got 23 species, so it was a great kick-off to the day. Look at this portly guy!! 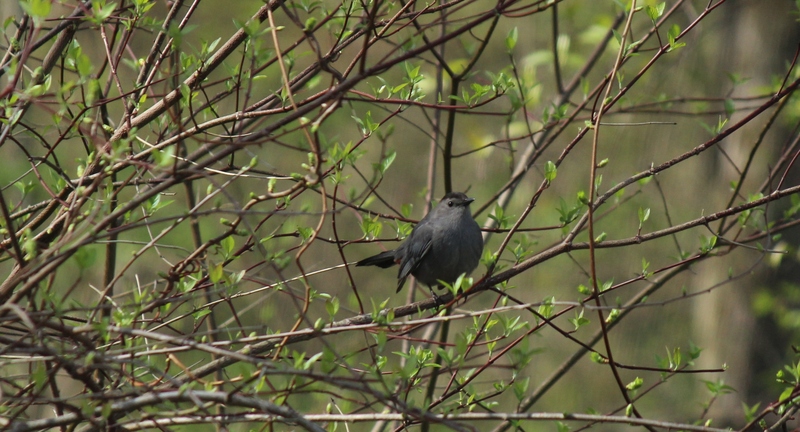 A Gray Catbird at a preserve in Newtown, CT. Photo by Nathan Schoonover. I’d jokingly set my goal at 50, and really didn’t think we’d come anywhere near that. But we headed out to a preserve in Newtown, where in under 40 minutes we bagged seven species–the most exciting for me was the Gray Catbird. The big fat thing was sitting on a branch not too far from me, just looking at me, making his kitty-like squawks. A Rose-breasted Grosbeak at Bent of the River. Photo by Nathan Schoonover. The Rose-breasted Grosbeak takes flight! Photo by Nathan Schoonover. 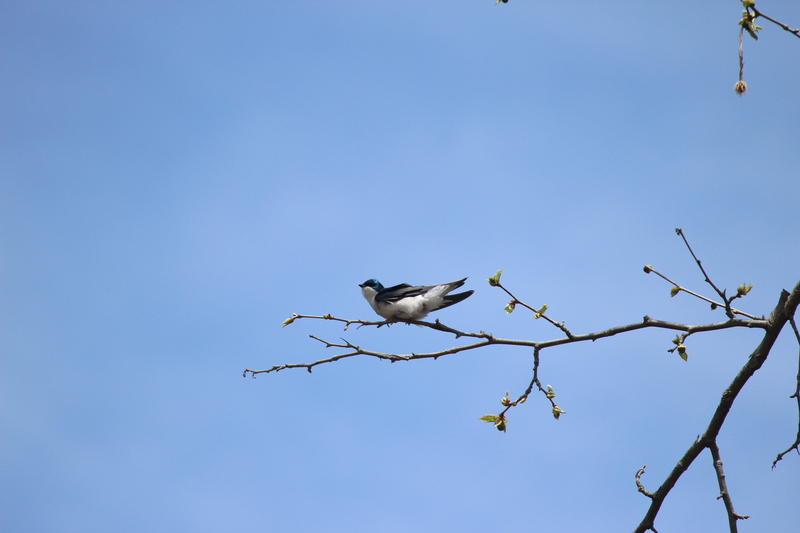 A Tree Swallow at Bent of the River. I love these birds–they look like they are dressed in aqua silk. Photo by Nathan Schoonover. On the way home, we stopped in a couple of parking lots where we know birds hang out–we were so close to fifty, but we missed out by a couple of species. All we needed were the damn Ring-billed Gulls to show up. The one day they’re not trolling the trash-filled parking lots of Danbury! 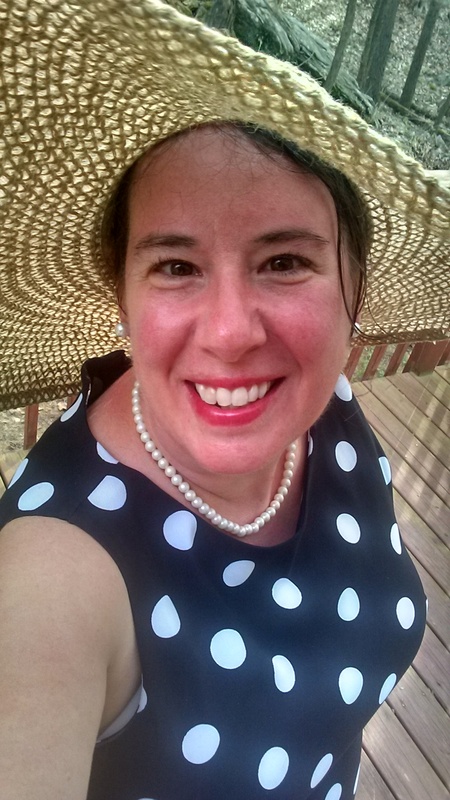 There will be another Global Big Day in October…maybe we’ll try to beat our own record, although I’m not sure but I might be up at the Kipling Writer’s Retreat in Vermont. 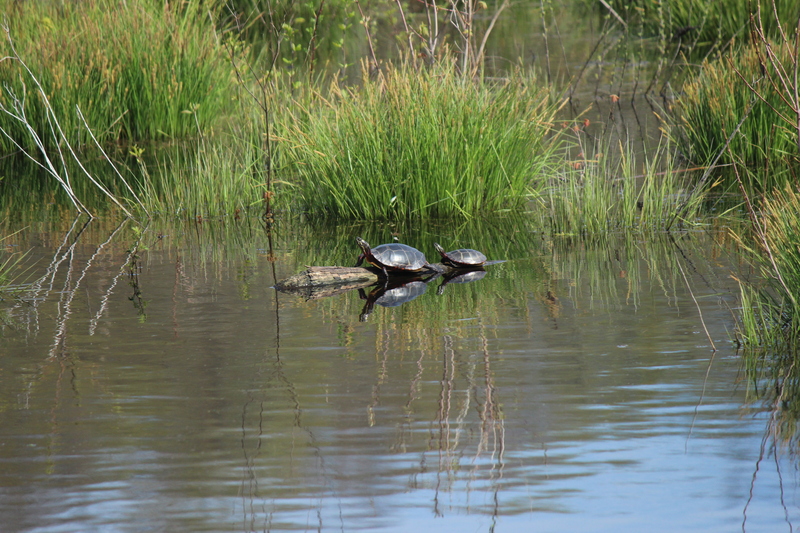 A couple of turtles chilling out at a nature preserve in Newtown. Photo by Nathan Schoonover. At the end of the day, we were sooo exhausted we didn’t feel like going anywhere, but our neighbor was having his Kentucky Derby Party, so we walked through the woods to have a drink. I think we were home and in bed shortly after the race. Far be it from me to be unfestive, but you can totally see how wiped out I am here. My eyes are sort of glazed over and red. Sunday also turned out to have a treat in store–Audubon Bent of the River in Southbury was going to be banding baby barred owls, and we were invited. I’ve never seen a baby barred owl, and didn’t really realize how large they are at four weeks old! Their little beaks click, too…and in case you are wondering, they are very soft…softer than kittens. Below, Larry Fischer of (I think) the USGS, who bands most of the birds of prey in this area, introduces us to the new little ones. Posted on June 18, 2018, in Deep Thoughts & Fun Stuff, News and tagged Audubon Bent of the River in Southbury CT, barred owls, Global Big Day Ebird, gray catbird, Kentucky Derby, places to bird in CT, rose-breasted grosbeak, tree swallow. Bookmark the permalink. Leave a comment.